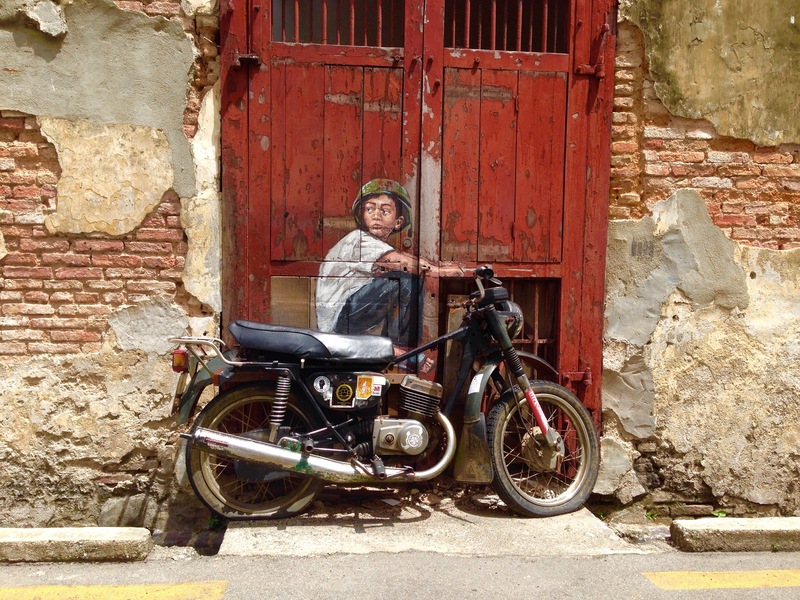 Georgetown in Malaysia is absolutely filled with street art. It’s everywhere you turn and a total joy to stumble across. Up, up and Away joins the many pieces of officially sponsored street art, but of course, it joins ranks with the unofficial and unsponsored group! If you were to wander the streets of Georgetown you would comes across over 50 pieces of wrought iron cartoon art depicting the local life and culture, life-like paintings integrating everyday items like a chair or bike, as well as many cat related images (calling for more pet directed TLC). 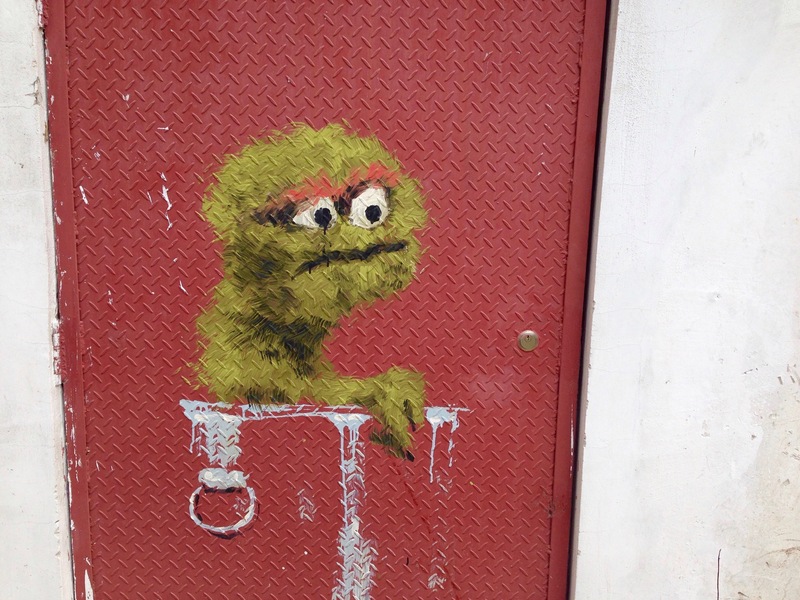 State sanctioned sreet art by Ernest Zacharevic. You would even stumble acrsso a huge yarn bombed tree! Of course this seemed the natural place for the newest piece in the Rock Vandals knitfitti collection. Up, up and Away was installed on Feb 10, 2016 coinciding with the Penang Hot Air Balloon Festival and serendipitously followed by Valentines Day. The patterns are courtesy of impressive and generous English knitters-the mouse pattern can be found here and the heart pattern here. Once again, it’s all stuffed with plastic bags and tooth picks were used for arms. At the moment of installation both of my cameras failed me so while I would l have loved more pictures to show the surrounding area, I am grateful to have any pictures at all. The following was passed along by the kindness of a stranger with a fully charged camera. Thank you kind stranger! Thanks B. Happy Valentines to you too my friend! Thanks so much, it’s very nice of you to say so! Where do you get time to knit? You must be having quite an adventure seeing and doing so many interesting things. Did you get to meet the artist you mentioned here? Hi Brenda, I didn’t get to meet him..wish i did though. I am the girl knitting in the train and bus-there was lots of time travelling between Thailand and Malaysia! Always nice to hear from you!